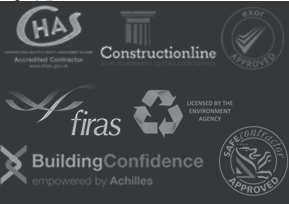 The works comprised of various extensions and internal alterations. 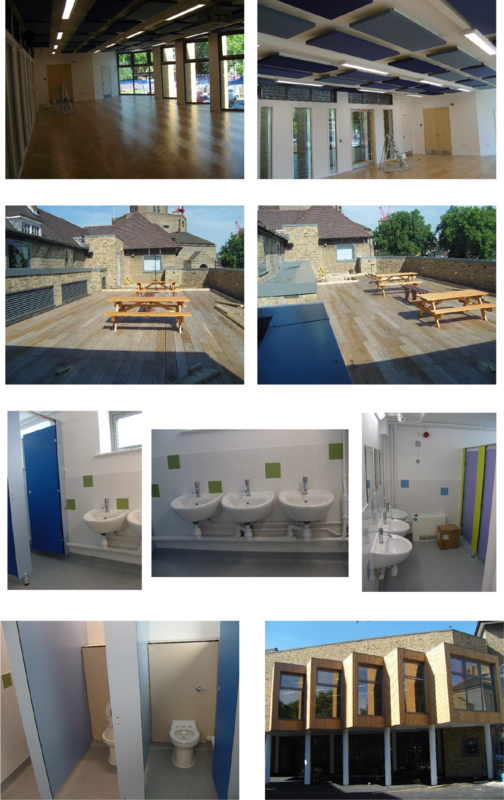 The main works comprised the demolition of the existing boys and girls toilets and two lean-to canopies, and the construction of a new extension to provide a covered external play area linked to the main building by a break out space with a multi-purpose hall above on Level 1 and a Bio Roof Terrace on Level 2. Natural light is provided to the break out space via a lightwell through all levels to the roof terrace. A new extension was constructed adjacent to the eastern stairwell, which provides boys and girls toilet facilities at ground floor level with direct access to the playground, re-source rooms at level 0.5 and 2, and boys and girls toilets at level 1.5, all accessible from the existing stair landing. Adjacent to the existing kitchens an area of the existing building was demolished and rebuilt with a new platform lift to service all 3 levels. Accommodation comprised kitchen office, changing room and toilet on level 0, hall storage level 1 and roof terrace and store level 2. To the south-east of the existing building, the existing Nursery toilets were demolished and rebuilt, including a new internal and external store rooms. The existing head teachers office was removed from the administration area, which was refurbished and the head teachers office relocated to a former store room on level 1.